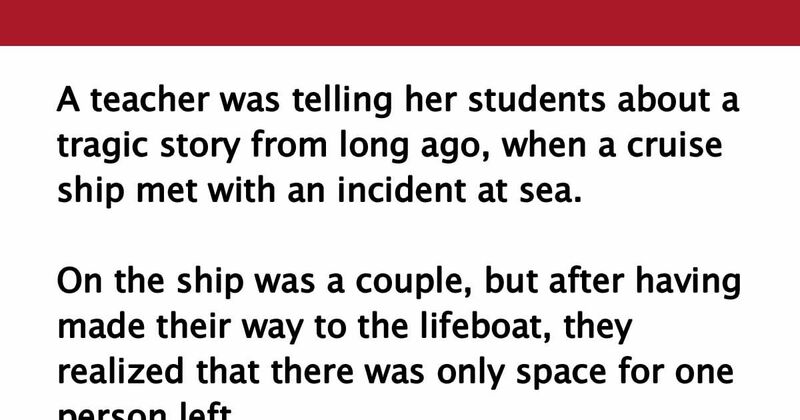 A teacher was telling her students about a tragic story from long ago, when a cruise ship met with an incident at sea. On the ship was a couple, but after having made their way to the lifeboat, they realized that there was only space for one person left. “No,” said the boy, “but that was what my mom told my dad before she died to disease”. The teacher lamented, “The answer is right. The cruise ship sank. The man went home and brought up their daughter single-handedly. Such a moving story. SHARE it with your family to remind them of how important they are to you.